Innovative, reliable and easy to use, the Smartmix is the best-designed RTM vertical mixer on the market. For a perfect mix, you need the Smartmix. Simple, double, triple auger or self-propelled: discover the different feed mixers made by the Anderson Group. 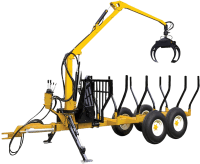 Effective, reliable and strong, these farm machines are designed for every type of farms. Our feed mixers are produced for rigorous agricultural work: do not hesitate to put them to work! 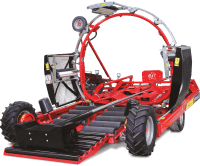 Round or square bales farm hay trailer: Anderson produce strong, reliable and efficient farm hay trailers that adapt themselves to any kind of tractor and field. 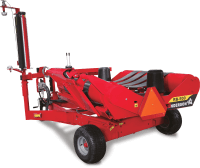 Save bale transporting time: our hay trailers made for round or square bales are loading automatically and can move up to 108 bales per hour! 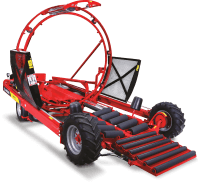 Consult our different hay trailers! 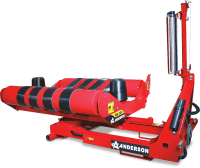 Efficiency, flexibility and quality wrapping with the Anderson wrappers! Reliable and offering a quality wrapping: the multi-purpose Anderson's wrappers deliver! May it be a round or square bale wrapper, you don't have to get out of the cabin anymore to select or change the wrapping configuration: everything is done from a control installed in the cabin! 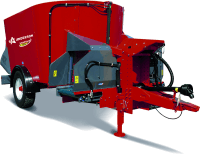 Browse through our vast selection of single or inline bale wrappers. Delivering performance far beyond their size, Anderson's log loaders are strongly-built and reliable. 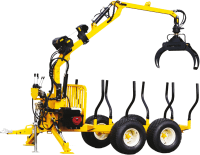 The M-90, M-15, M-140 and M-160 have different dimensions and features are convenient for all types of work. 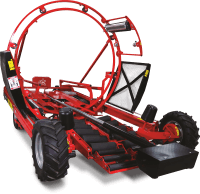 Designed for all agricultural needs, our PRO-CHOP 150 and BIO BALER round bale processors are suitable for all types of silage: straw, hay, silage, biomass and shrubs. Consult our bale processors! 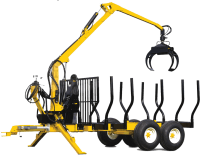 We also offer a range of practical accessories and special equipment for agricultural, forestry or other types of work.